1898. 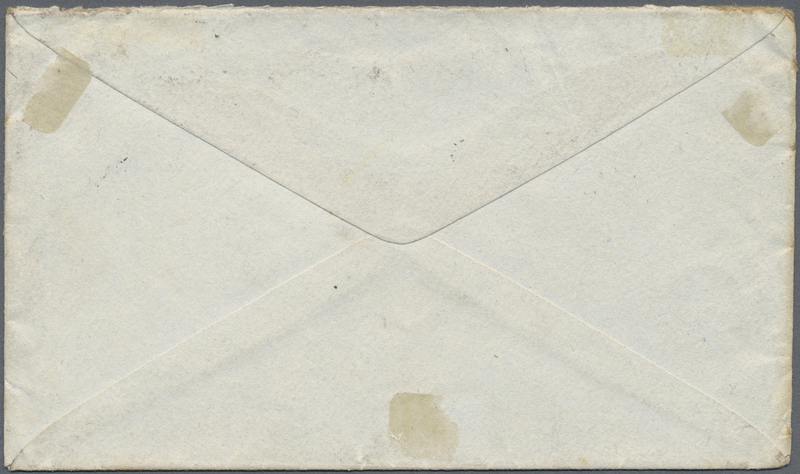 Envelope (small faults) written from Aden addressed to 'H.M.S. 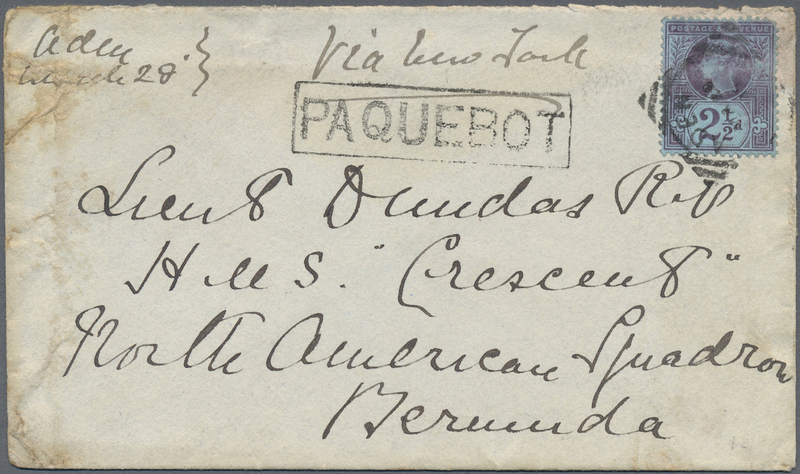 Crescent, North American Squadron, Bermuda' bearing Great Britain SG 201, 2½d blue tied by Aden squared circle 'March 29th 98' with framed 'Paquebot' endorsed 'via New York'. A very unusual destination from Aden.